What's so interesting about a patch of sand on a deserted beach? At sunrise... intense warm light exaggerates the texture of the landscape... and reveal compositions you would otherwise miss... like this scene that suggests an ongoing cycle of life. The fine sand were once the skeletons of live reef corals. 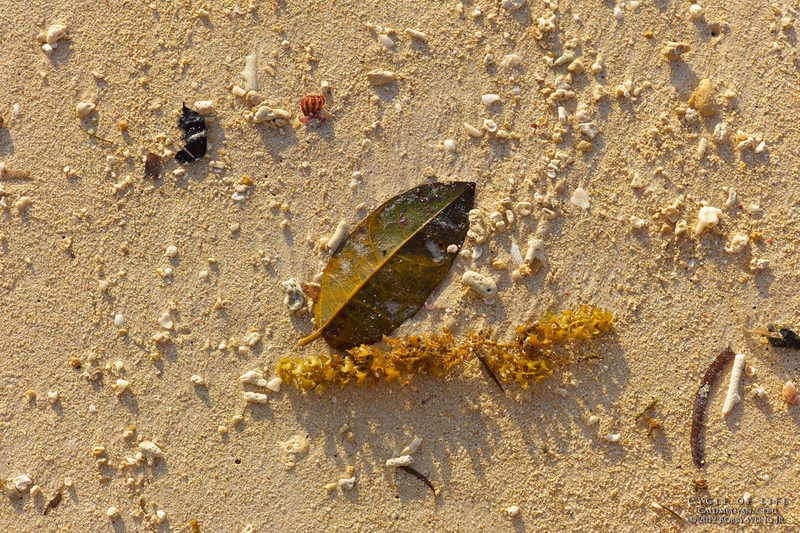 The flotsam seagrasses and a dried leaf were once living plants. And a myriad of abandoned sea shells were once critters that combed this shore. It's mostly a scene of what used to be, but if you can spot a handful of freshly burrowed holes, possibly by tiny critter crabs, it's clear life goes on. Enjoy.